As an advanced Facebook marketer, you eat up the data. You want every insight into what is happening with your marketing. 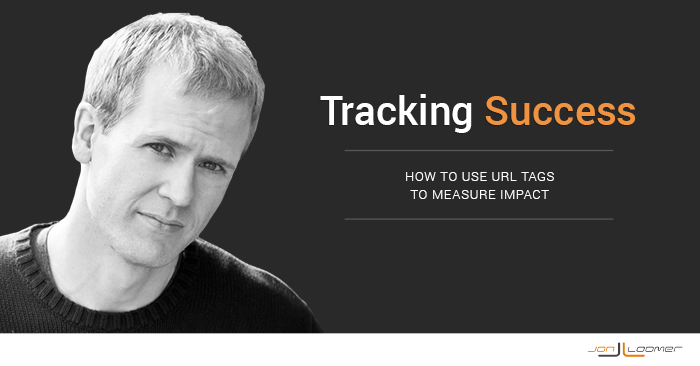 A great, but underutilized, tool to help measure impact is URL tags — also known as UTM parameters. In this post, I am going to explain what URL tags are, my experiment and how you can use them, too. URL tags are added to the end of a URL to help you better track and measure clicks on a link. Tags make it easier to know where users were when they clicked your link, but they can also help you learn a whole lot more. 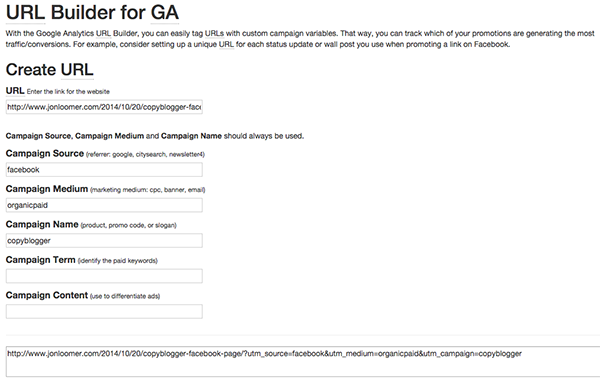 To help you understand URL tags (and use it yourself), check out Google’s URL Builder. *Campaign Medium: Promoted post, banner, email, etc. You really can’t make mistakes on any of this. 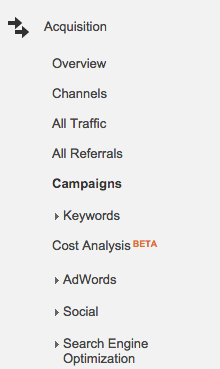 This will simply be useful later to identify activity for this campaign within Google Analytics. As you add the required content, Google builds the URL for you in the bottom text box. You should then use that URL in your campaign. I don’t often use URL tags, but I decided to use it for my post What Copyblogger Could Have Done With Its Facebook Page. Since I expected the post to be popular, I wanted to measure how much impact a single share of mine could make. I then shared this link to my Facebook fans organically before promoting it with an ad. That ad would target my fans, website visitors and a Lookalike Audience. 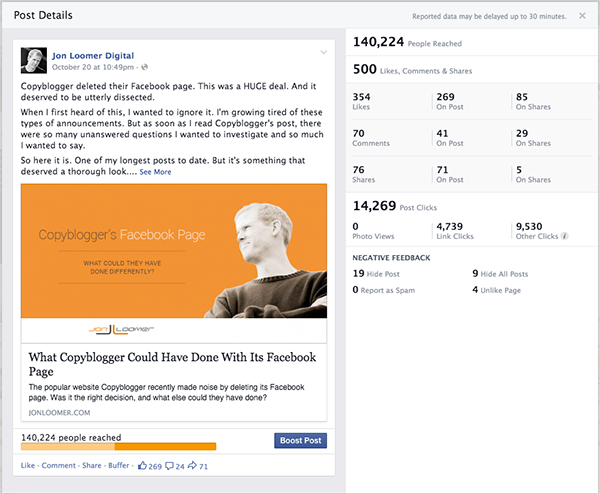 As of the moment I write this, Facebook reports that my post has generated 4,739 link clicks. Some of this was organic and some paid. 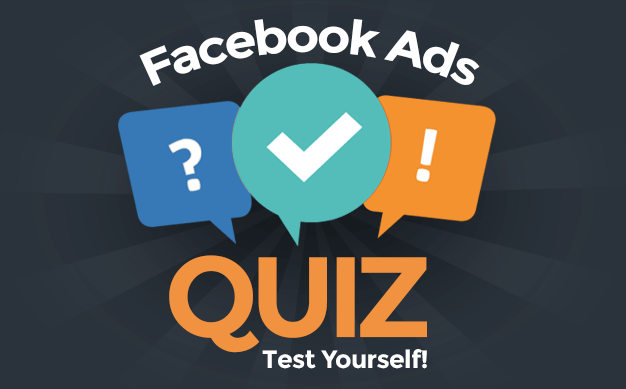 According to Ads Manager, the ads I’ve run have generated 1,790 of those clicks. Now let’s dig into Google Analytics to see the total number of people who have clicked this link. We do this by clicking on “Acquisition” and “Campaigns” within the side navigation. As you can see below, Google reports that this campaign has received 6,446 total clicks so far. My Experiment: Where Did the Other Clicks Come From? Wait a minute… Google is reporting that my URL with campaign tags received 1,707 more clicks (+36%) than Facebook reported. Is this just another example of data not matching up? Recognize that link? It’s the URL I built when it was shared to my Facebook page. Are you following what happened here? I only used that URL once, when I shared it to my Facebook page. No one else would have created it. But when many of those 4,000+ people clicked the link and loved it, what do you think they did? Yep, they shared it. Sometimes they shared it to Facebook again. Sometimes they emailed it. Sometimes they shared it to Twitter and who knows where else. In fact, of the 14,215 total views of that post so far, 45% can be traced back to my initial share to Facebook. That’s pretty powerful, right? Bottom line is that these URL tags help me see the impact of my share on Facebook first hand. The source of this person’s link could be many degrees separated from the initial share — mine! I did this mainly for entertainment purposes. But you should consider using URL tags to help you measure the true impact of your marketing. For example, the next time you launch a promotion — whether for yourself or a client — attach URL tags to your link share or ad. This way, you can use Google Analytics to separate the traffic driven by your share from those of others. And if you share that link in multiple places (which you should), add a tag consistent with that source (email, banner ad, etc.). This will help you isolate what worked best. Remember that Google will return not only the number of people who clicked the link directly, but those who clicked it after others have shared it. As with my Facebook example, this shows how viral your initial post went. Have other creative examples of using URL tags? Let me know in the comments below!